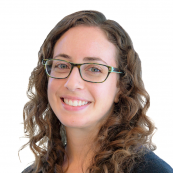 Jess Himelfarb is a Program Coordinator at PYXERA Global, where she supports business development as well as a variety of projects in the Enterprise & Community Development practice area. Prior to joining PYXERA Global, Jess worked at American University where she helped start and manage a new campus-wide race relations initiative. Before moving to D.C., she spent three years working in various locations along the Thai-Myanmar border with community-based organizations supporting Burmese refugees. From 2014-2016, Jess taught high school English classes and focused on women’s empowerment as a Peace Corps volunteer in western Ethiopia. Jess holds an MA in International Peace & Conflict Resolution with a concentration in peacebuilding and dialogue from American University and a BA in Anthropology & Sociology from Lewis & Clark College.